Real people. Real stories of miracles. Life-changing. 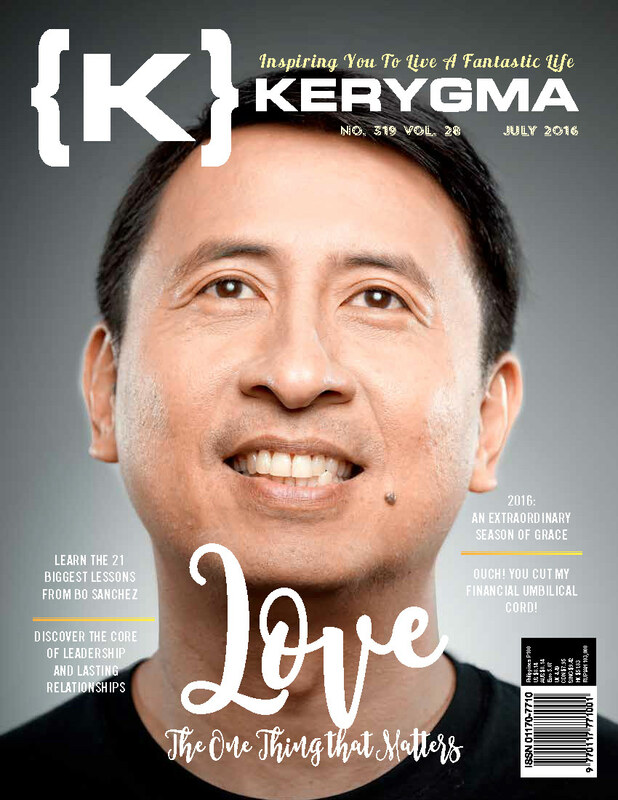 An inspirational magazine that contains real and touching stories of those who have experienced God alive in their lives, it is no wonder that its mere 5,000 initial print run has risen to 40,000, with a pass-on readership of over 200,000! KERYGMA has a little something for everyone: soulthirst-quenching truths from Scripture, Christian counseling, prayer group first-aid tips, family discussions, and special teachings on faith topics made practical and applicable. Note: Magazines will be sent every two month issues. *Your subscription will start based on the month you placed your orders. Example, if you place your order month of July, we will sent you July issue as your first copy. KERYGMA is the banner product of SVP. It is Greek for the proclamation of the Good News. An inspirational magazine that contains real and touching stories of those who have experienced God alive in their lives, it is no wonder that its mere 5,000 initial print run has risen to 40,000, with a pass-on readership of over 200,000! KERYGMA has a little something for everyone: soulthirst-quenching truths from Scripture, Christian counseling, prayer group first-aid tips, family discussions, and special teachings on faith topics made practical and applicable.